Make informed sales pitches with key project information and contact details of the companies. Openings allows you to identify opportunities at an early stage, meaning you can build your pipeline and make your new business approach at the right time. Gain valuable project intelligence into the activity of the 50,000+ companies and get up-to-date contact details and connect with the right person at the right time. Gain direct access to the procurement contacts, specify your products and find new work opportunities. Project Intel gives you detailed insight into the businesses you’re targeting, meaning you can make informed sales pitches and stand out from your competitors. 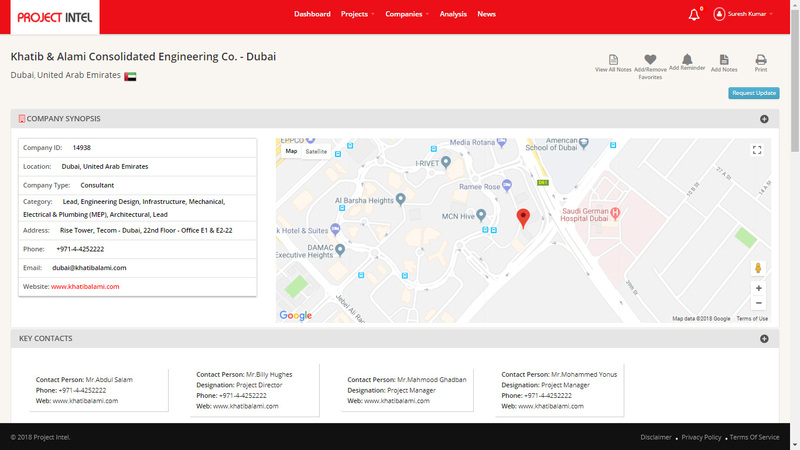 Our experienced, research team tracks every concept, design, tender and under construction projects and thousands of completed projects across GCC to deliver up-to-date construction leads and industry data to our customers. 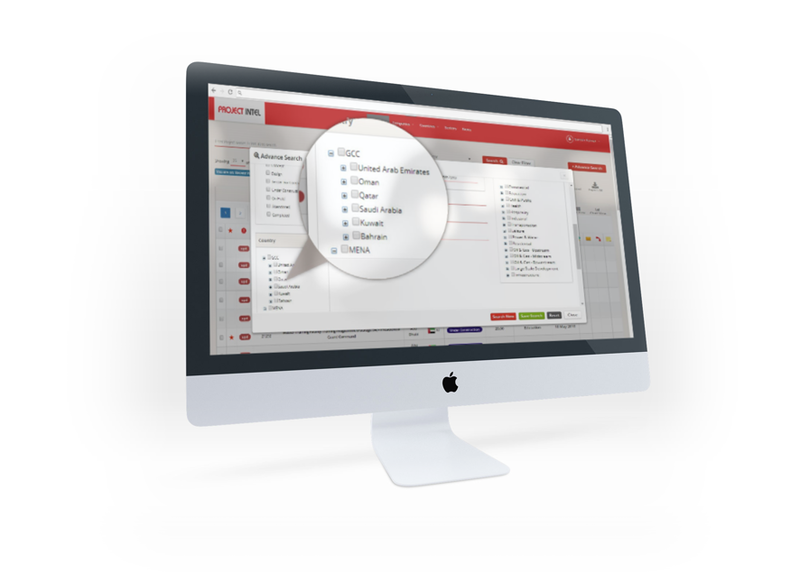 An all-in-one tool to help you manage your sales pipeline and forecast with absolute confidence. 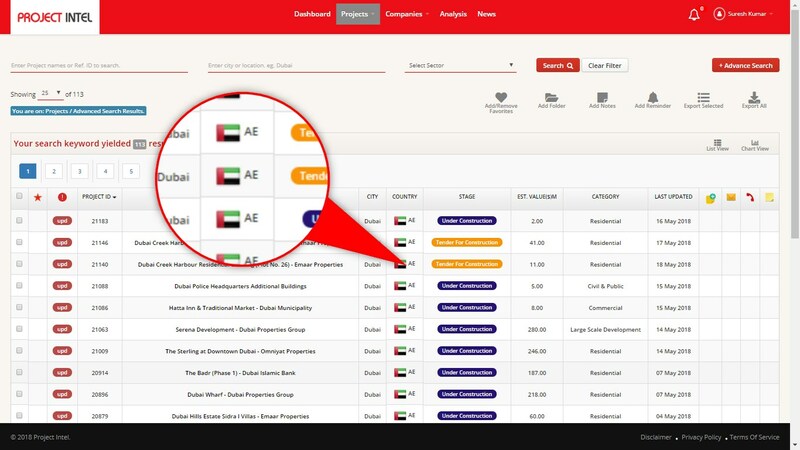 View future construction activity as well as detailed history of newly announced GCC projects to build a detailed picture of activity throughout your market. Never miss a new business opportunity with real-time project and company updates delivered direct to your inbox as they happen. To enable your strategic business planning, with forecasts into market performance up to five years ahead. 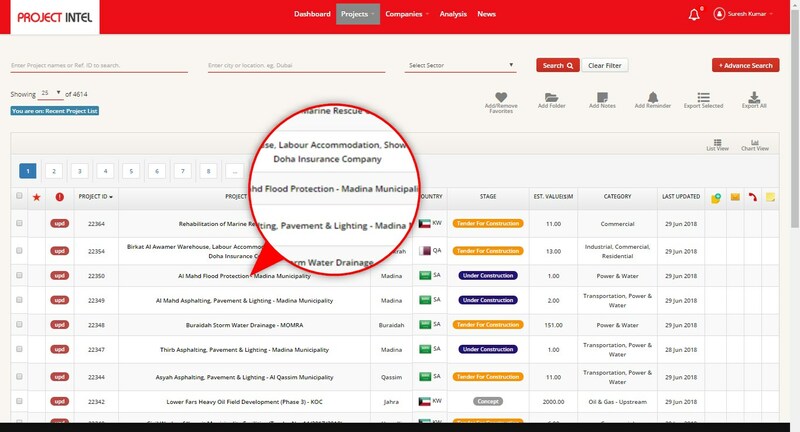 Track your competitors closely with a clear view of their current and future activity and their industry relationships. Produce highly-targeted campaigns using detailed company database and expertly researched mailing data. 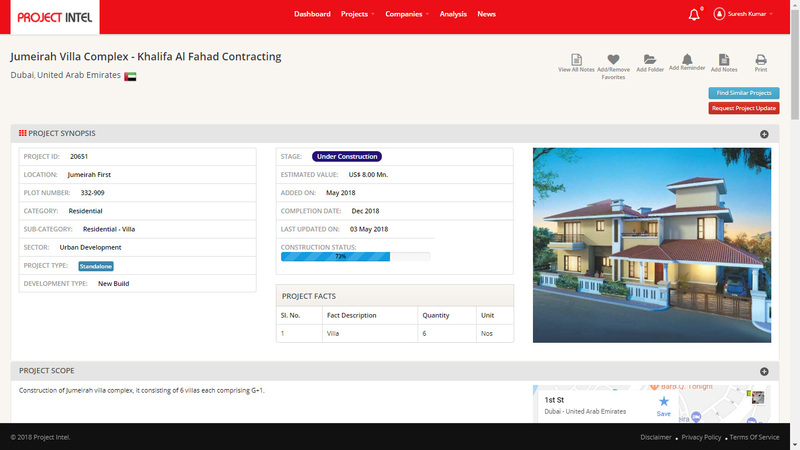 Contract Awarded number gives an indication of the rate at which the projects are awarded. The higher the number, the higher the opportunity! For consultants, our comprehensive intelligence enables you to develop strategies to gain market share in existing and new markets. 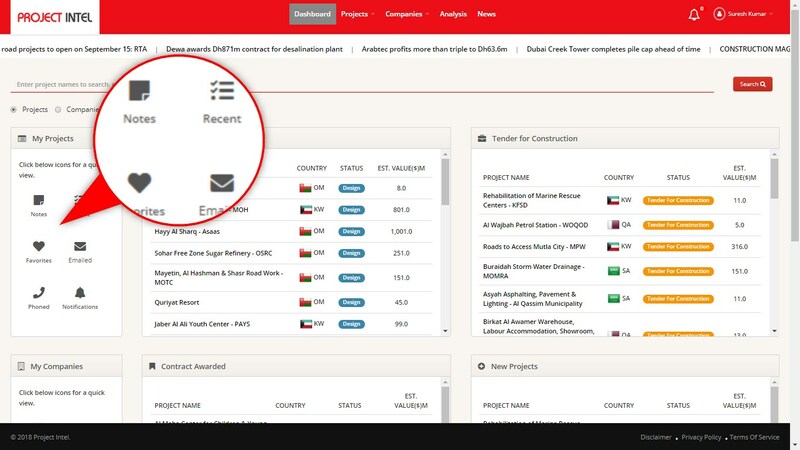 For contractors, you have access to an unrivalled comprehensive GCC construction projects database, featuring contact details for some 15,000 key decision makers. For suppliers, with contact details for key decision makers involved in 8,000 major projects in GCC region, suppliers need waste no time in contacting the right people in procurement teams. For professional services firms, we provide historic and future forecasts for construction output helping you to understand market trends, as well as conduct business planning and forecasting. PROJECT INTEL is the trusted provider of GCC construction project sales leads, market analysis, forecasting, and company intelligence. 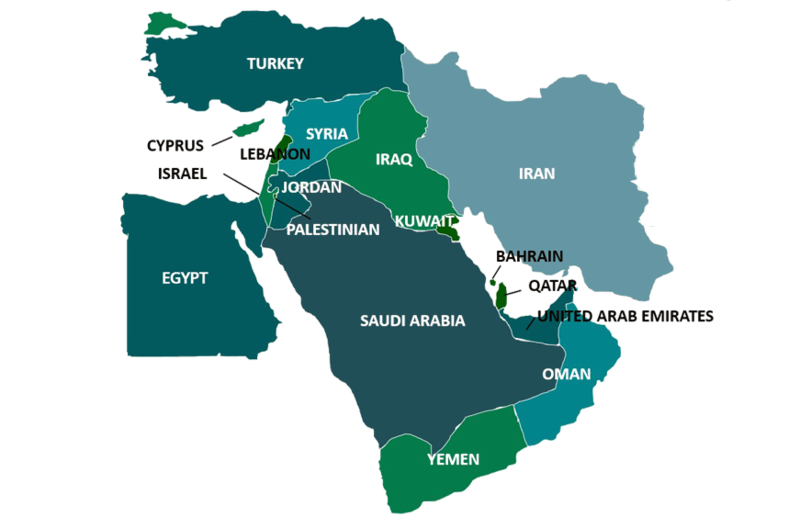 Project intelligence network is the most comprehensive source of data and analysis on the GCC construction industry.